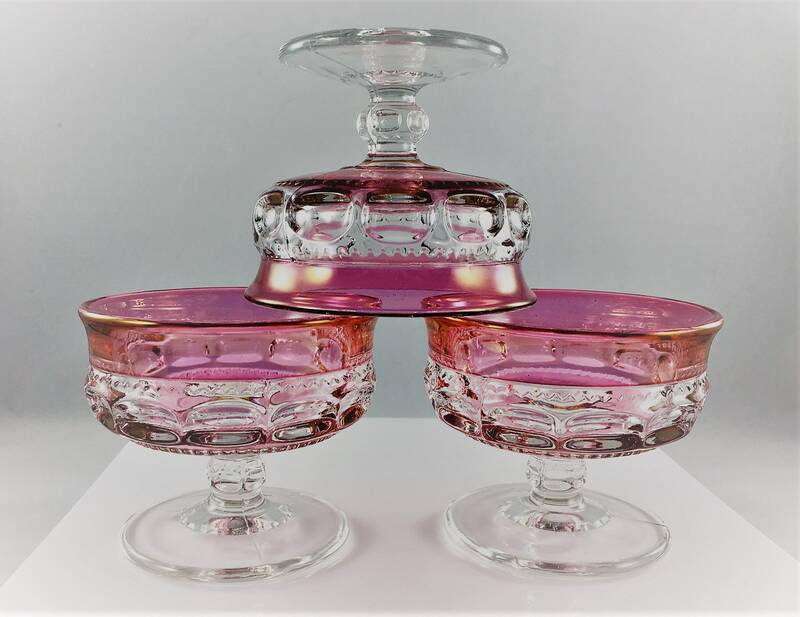 Featured here are three classic Colony Cranberry Crown champagne glasses or sherbet dishes with oval thumbprint design. The color is lighter than that of the Ruby Crown pattern that they also produced. This discontinued pattern was made from 1964-67. 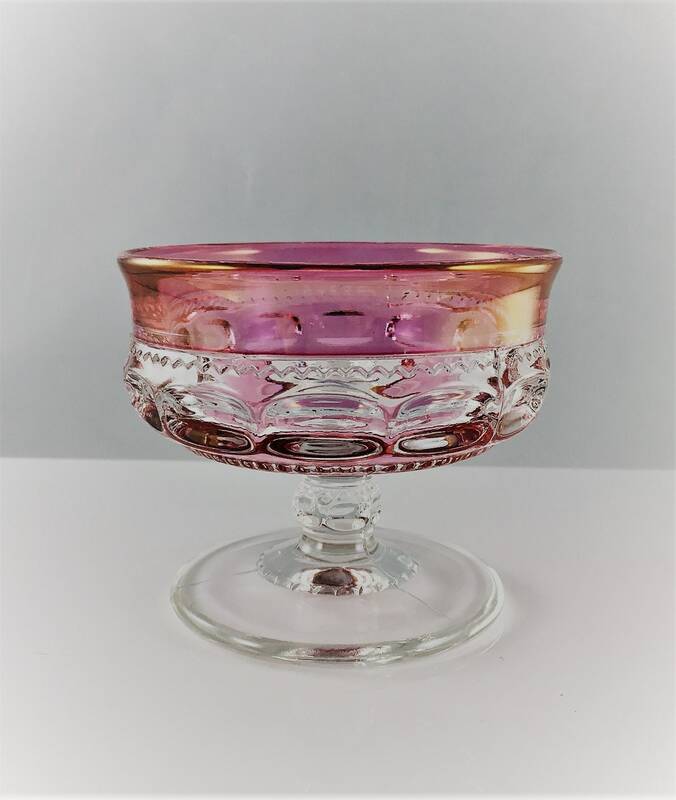 They are in excellent condition with no chips or cracks, and the delicate cranberry flash on the top is intact. Measures about 3 inches tall and 3 1/2 inches in diameter at the rim. Sits on a 2 3/4 inch diameter base. All 3 glasses for one low price. I do combine shipping and refund shipping overages in excess of $1.50 (covers shipping materials) above actual cost, I’m not trying to make money off of shipping charges. I strive to ship items no later than the following business day. Items are generally shipped USPS priority mail which includes $50 insurance. All items are carefully packaged. If an item is damaged during shipping, please take pictures and let me know immediately so a claim can be filed with the shipper. If you prefer an alternate shipping method please send me a message to discuss options.